I know, I planned to get back on the Whole 30 wagon. I did for one whole day but kept having this crazy nagging feeling that I needed to do something else. I have been studying about the affects of the Autoimmune Protocol on people who have autoimmune disorders/diseases. Some of you know that I have Lupus but I also have Fibromyalgia and Hashimotos. They really all go hand in hand and the symptoms overlap a lot for each of them. I call it my autoimmune mess! 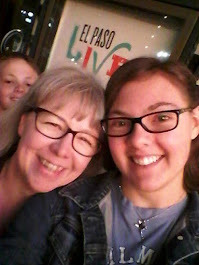 I need to say, up front, that the Whole 30 elimination experiment is brilliant and when I did it in May 2015 it was very helpful in teaching me more about listening to my body and knowing about things like "no brakes" foods for me or things that I was sensitive to in my own diet that I should avoid. I had every intention of doing it again this month but, again... the nagging feeling. My body has been telling me to go simpler. I have removed some of those restrictions that are part of the Whole 30 in order to give myself a less stressful, yet completely successful, experience. I decided to go with what I already know.... I have reactions to dairy (mostly lactose), soy, wheat/gluten, and sugar and then the occasional reaction to certain corn products (I suspect GMO or super processed). I decided to take the book by Eileen Laird (Phoenix Helix) that I just read and use it as my ultimate reference for what I can and cannot eat to heal my gut. 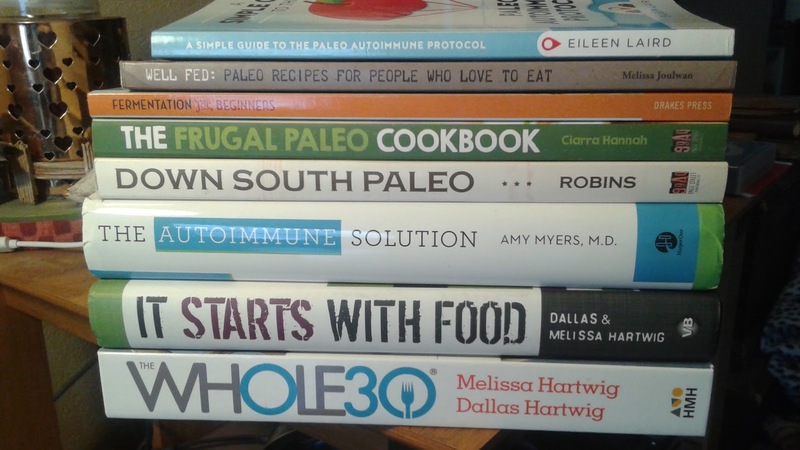 The book is called called A Simple Guide to the Paleo Autoimmune Protocol. Healing my gut and feeling better is my primary goal right now. I am not looking to lose weight, although I won't fight that, or fit some image of super fit.... I just want to feel better! I have had no sugar, wheat/gluten, dairy or soy since then. I have also added the restriction on certain nightshade vegetables. I am keeping eggs, coffee (one to two cups per day tops) and potatoes for now but if things are still not feeling better in two weeks I will ditch those, too. I want to take it on a day to day basis at this point. Here is my stack of reference books and cookbooks to keep me focused right now. I have one more book coming the end of September from Dr. Amy Myers on the thyroid called The Thyroid Connection. For those on this journey I am giving you a list of blogs I frequent to help me understand this process.